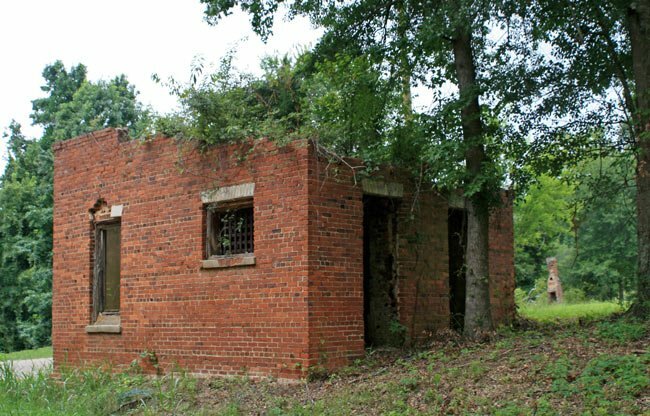 This tiny jail in the extinct Calhoun County town of Fort Motte – now part of St. Matthews – was built in 1906. The town of Fort Motte developed here in the mid nineteenth century near the site of a Revolutionary War event known as the Battle of Fort Motte. Fort Motte was officially incorporated in 1875. 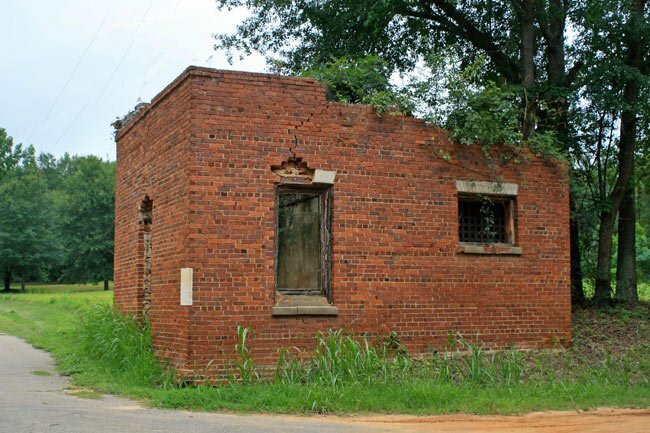 Though the shells of this jail and the post office remain, the town vanished in the twentieth century when the interstate system replaced the community’s railroad. The three-room brick jail was sufficient for housing the scofflaws of Fort Motte during the early 1900s. 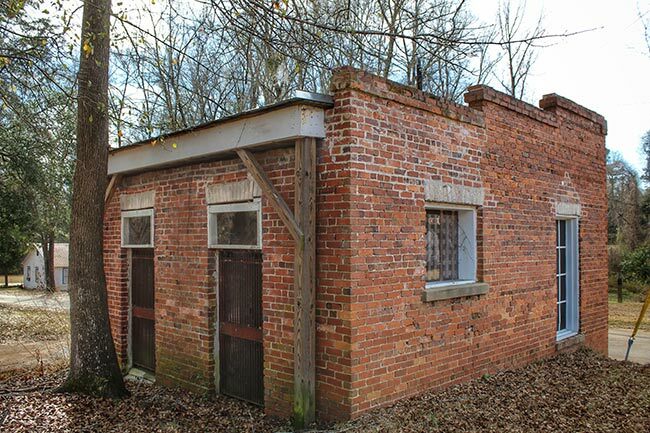 The 20×20′ building was divided into an office in the front and two cells in the back. 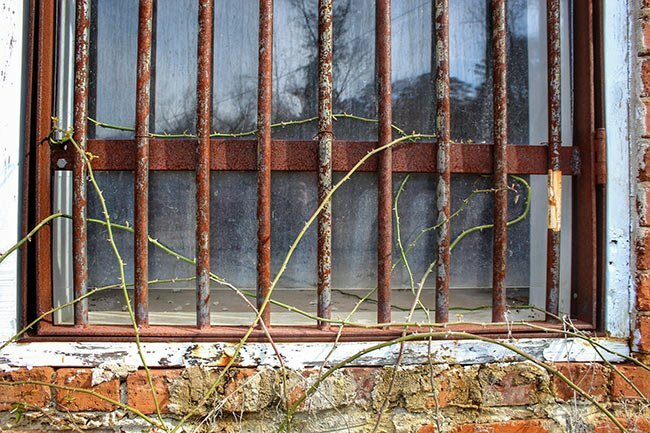 The cells were accessed through doors in the rear of the building, seen below. 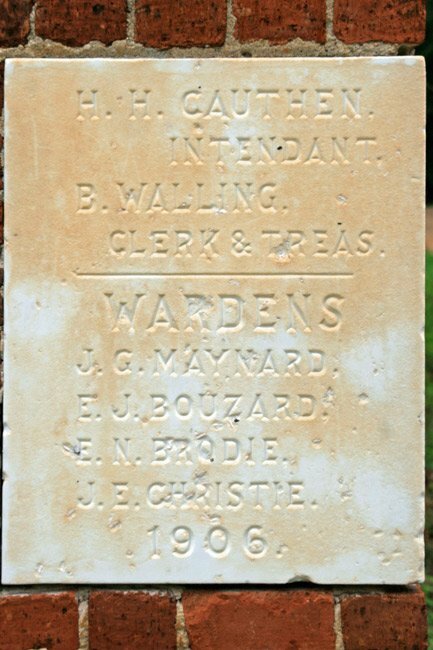 A cornerstone of the building dated 1906 lists the officers of the jail during that time. Though little of the town remains, this stone documents those who valued law and order in the small and once-thriving community of Fort Motte.